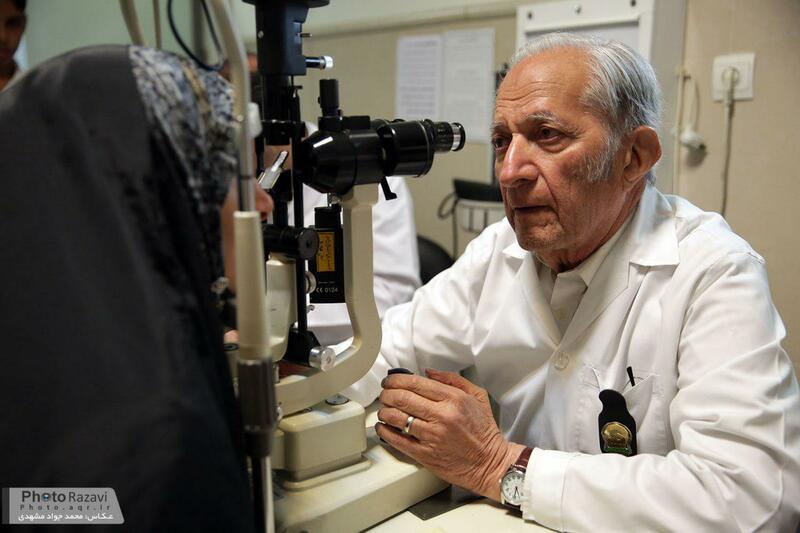 Professor Ali-Asghar Khodadoust, one of the most prominent eye surgeons in the world, has passed away at the age of 82 in a hospital in New York City. Khodadoust, one of the world’s best surgeon in corneal transplantation, died on Saturday of his heart diseasee. Born in Shiraz, Khodadoust was a distinguished surgeon with specialty in ophthalmology and corneal transplantation. After finishing his primary and high school in the same city, he was employed as a teacher in a primary school in Darab County. Passing University exam in 1954, he began to major in medicine. Six years on, he finished university with an excellent degree and after spending a year in Shiraz University as assistant otorhinolaryngologist, he was sent to the US by the then government for taking an advanced special training course in Otorhinolaryngology, a Farsi report by Khabar Online said. Professor Khodadoust was the first and only foreign assistant professor of otorhinolaryngology in Johns Hopkins University in 1962. He finished the three-year course as the best assistant otorhinolaryngologist of Wilmer clinic. During his stay in the US, he was involved in extensive research in basic sciences and published a number of articles in various academic magazines. After finishing the course, he began his career as a trainer and assistant professor for two consecutive years in the ophthalmology section of the same university. In 1968, he rejected interesting job offers by Johns Hopkins University and returned to Iran to serve as a professor in Shiraz University. He served as a visiting professor at Johns Hopkins University every two years from 1968 to 1980. During the period, he also taught in a number of countries like China, Turkey, Syria, Oman, Peru, Ecuador and Italy. Back in 1980 he left Iran for the US and began a new career there as Hopkins University professor. Two years later, he was also elected as the head of ophthalmology Section of Sisil University. In 1992, Khodadoust established Connecticut Ophthalmology Center in New Haven. He visited Iran every two years to take part in clinical and training courses in Tehran and Shiraz hospitals. Khodadoust was widely deemed in the US as one of the best surgeons in ophthalmology and corneal transplantation. Some special transplantation surgeries have been named after him.